Image courtesy of the author, May 2018. These photographs show a mystery that is disappearing into the abyss of past time. 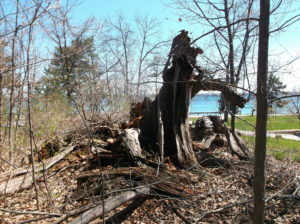 On Old Mission peninsula along East Bay old records indicate the existence of a Council Oak, a tree used as a gathering place for Native Americans. It was situated just south of Archie township park and north of Wilson Road, perhaps a hundred yards from the water’s edge. Now, a subdivision occupies the area around the site, appropriately named “Council Oak.” The tree is mostly gone with only a rotten stump remaining–and one more thing. 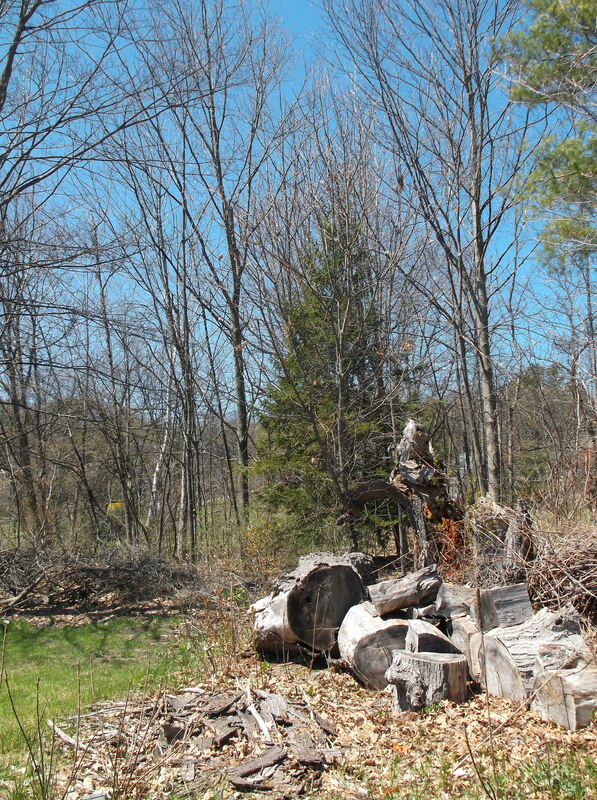 A shoot grows from its base, a shoot of black oak, the same species as its grandparent tree. 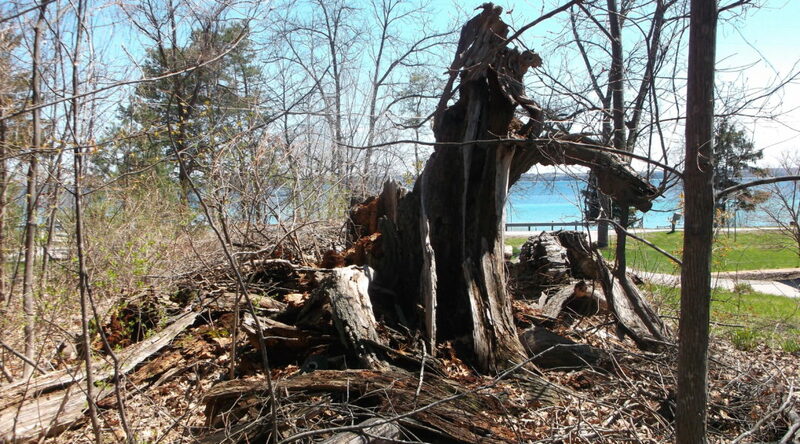 Is it a symbol of the resilience of the Odawa tribe that used to inhabit these lands?